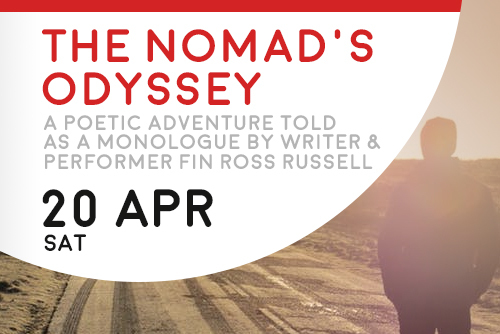 The Nomad's Odyssey is a poetic adventure told as a monologue by writer and performer Fin Ross Russell. Written on the road, the play tells the stories of people and places encountered and what they have to say about life, love and the state of humanity. The result is a delicately intimate audience experience that uses the power of words to explore senses, memories and hope. Audience interaction encouraged! Fin Ross Russell is a British/Sri-Lankan/Canadian all-round theatre maker. Having graduated from the Royal Central School of Speech and Drama in June 2018, Fin's is aim is to create theatre that inspires people to implement positive changes .